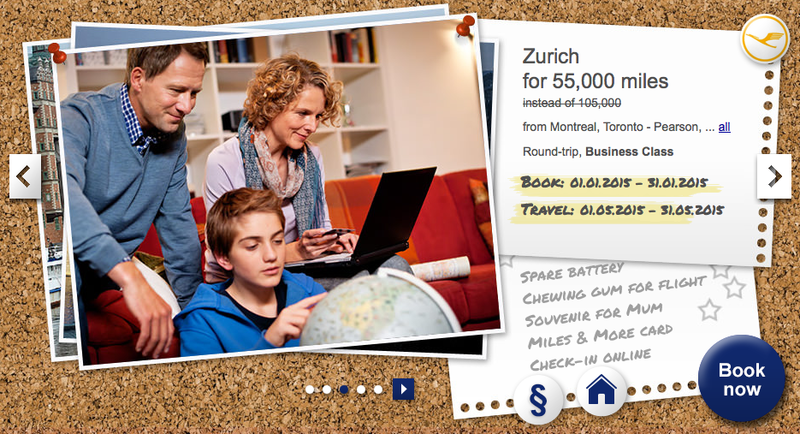 We missed covering this offer last month but the Miles & More discounted mileage awards "Meilenschnaeppchen" have returned this month here on Rewards Canada! This set has two set separate travel options. The first is a 50,000 miles discount for business class award tickets on Lufthansa between Montreal, Toronto or Vancouver and Europe in May while the second is a 50% discount on economy class travel between January 9 and March 31 on Austrian Airlines between Toronto and Austria. 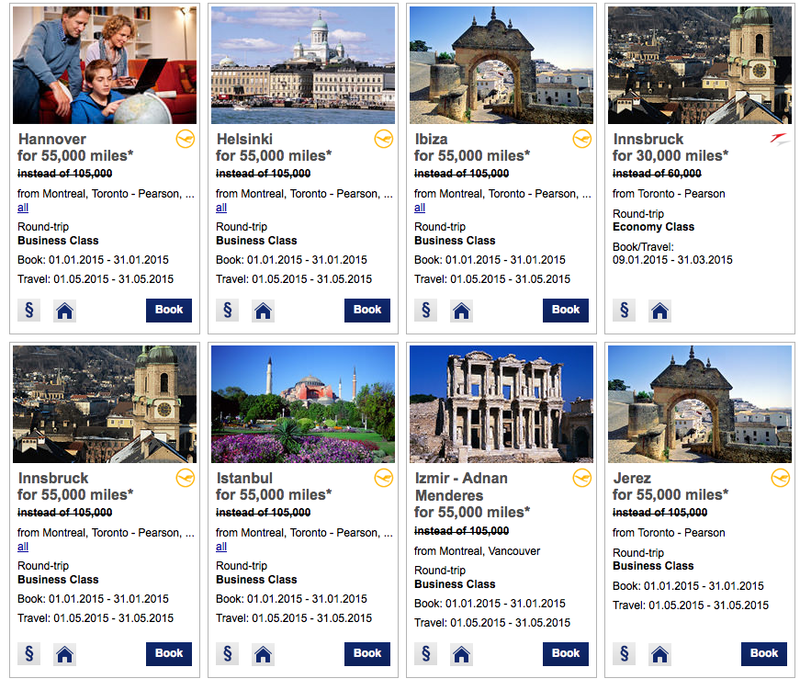 You can redeem Miles & More miles for round trip tickets from Montreal, Toronto or Vancouver to Europe for only 55,000 miles in Business Class. This is nearly a 48% discount off the normal Business Class award ticket price of 105,000 miles. As mentioned before the Austrian Airlines option is a full 50% discount on economy class which means an award ticket price of only 30,000 miles. Granted all these tickets will also have fuel surcharges but this is still a pretty good deal when you look at it as a whole in terms of miles+cash outlay.